A dangerous debate is raging in a handful of states regarding arming teachers—despite the fact that the American public strongly opposes the idea. Our latest edition of Gun Law Trendwatch breaks down what you need to know. Studies show the presence of guns increases, rather than decreases, the risk of gun violence. A majority of teenagers, teachers, and parents agree that putting guns in schools would make them more dangerous. And yet lawmakers in some states are pushing to do just that. Parents, teachers, and kids are right to be worried. Earlier this month, Giffords Law Center released our comprehensive analysis of incidents of mishandled guns in schools. We found over 60 publicly-reported incidents of adults mishandling guns in schools in the last five years. In one instance, a gun brought to school by a teacher in Missouri was stolen by two students. That same month, at a Florida elementary school, a loaded gun fell out of the pocket of a substitute teacher doing cartwheels. And yet, lawmakers in Florida are aiming to expand the state’s guardian program with bills that purport to arm teachers. Another Florida bill goes even further by requiring sheriffs to implement a guardian program approved by a school district, even if a school doesn’t want it. A bill currently moving in Texas removes limits on the number of school staff that may carry guns under the state’s school marshal program. Another Texas bill would allow such staff to carry a gun (instead of keeping it in a locked safe) even if they regularly work with children. 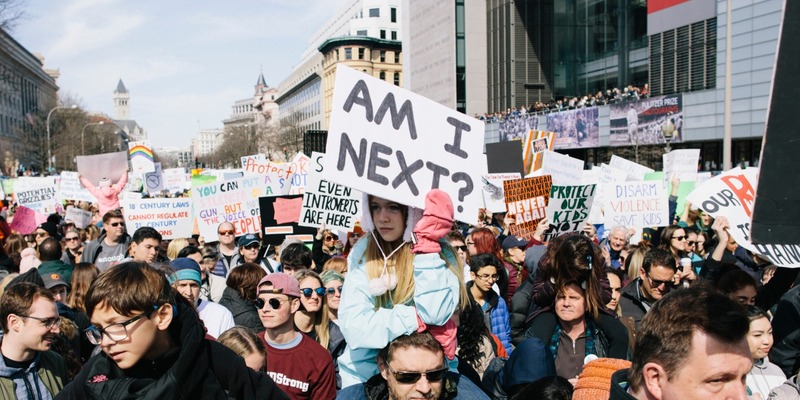 Fortunately, legislators in many states around the country are acting on bills that would restrict guns in schools, raise the minimum age, and remove access to firearms by people who show signs they are imminently dangerous. These measures are crucial to the safety of our schools, and we owe it to our children to demand that our legislators enact them. Read the full roundup here, or check out this summary of where gun safety legislation stands in states around the country today. At least 22 states currently have legislation pending to strengthen or enact background checks. Maryland HB 96 passed the house, HB 786 passed the senate, and SB 737 passed the Senate. Washington HB 1465 passed a committee, and HB 1949, which requires a feasibility study regarding the state serving as a point of contact for background checks, was enacted. At least 22 states have bills pending that would close domestic violence loopholes that allow abusers to access guns. Florida HB 1265 passed a committee. Georgia HB 247 passed a committee. Illinois SB 1588 passed the senate. New Mexico SB 328 was enacted. Tennessee SB 828 failed. Texas HB 1208 and HB 3191 had hearings on April 10. Washington HB 1225 passed the senate, and HB 1517 and HB 1786 passed committees. Extreme risk protection order bills are pending in at least 28 states. California AB 12 passed the assembly. Colorado HB 1177 was signed into law on April 12. Hawaii SB 1466 passed the house. Indiana HB 1651 passed a senate committee. Maine SB 408 has a hearing on April 22. Washington SB 5027 passed the house. At least 9 states have bills pending to allocate or protect funding for community-based urban gun violence reduction strategies. California AB 18, AB 656, and AB 1603 passed committees. Washington HB 1109 passed both chambers. 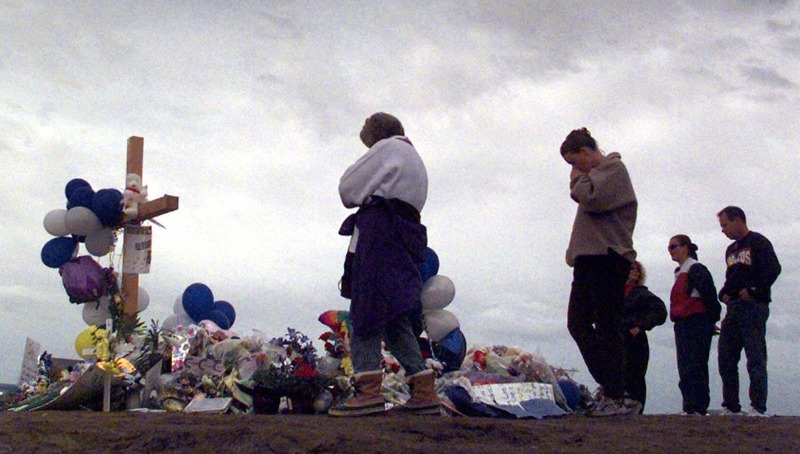 Dangerous bills to allow guns in school or on campus are pending in at least 28 states. Arkansas SB 383 was enacted. Indiana SB 119 was sent to conference committee. Montana HB 567 passed the senate. Oklahoma HB 2336 passed a senate committee. South Carolina SB 293 passed a committee. Reckless permitless carry bills are pending in at least 9 states. Idaho HB 199 and HB 206, which further weaken the state’s existing permitless carry law, were enacted April 2. It’s imperative that courageous legislator continue standing up to dangerous gun lobby-backed proposals like arming teachers. The safety of our children depends on it. About Trendwatch: Distributed biweekly during the state legislative cycle, Gun Law Trendwatch rounds up and analyzes trends in state gun legislation, documents important victories, and monitors the gun lobby’s activity in legislatures across the United States.